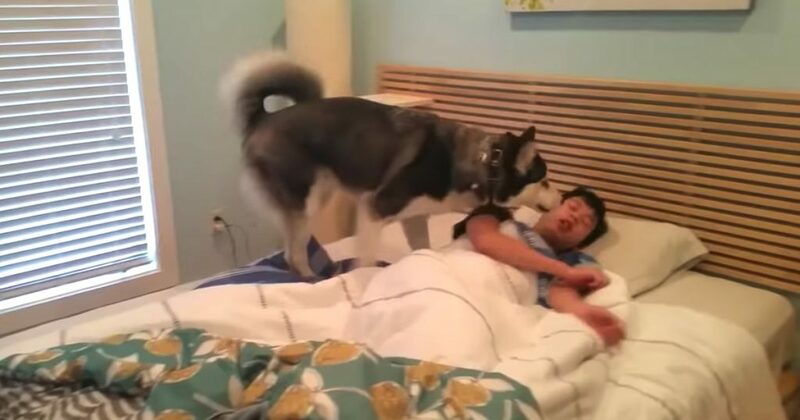 But his owner has other ideas. He’s not quite ready to get up at the moment, and the play session is going to have to wait until later. 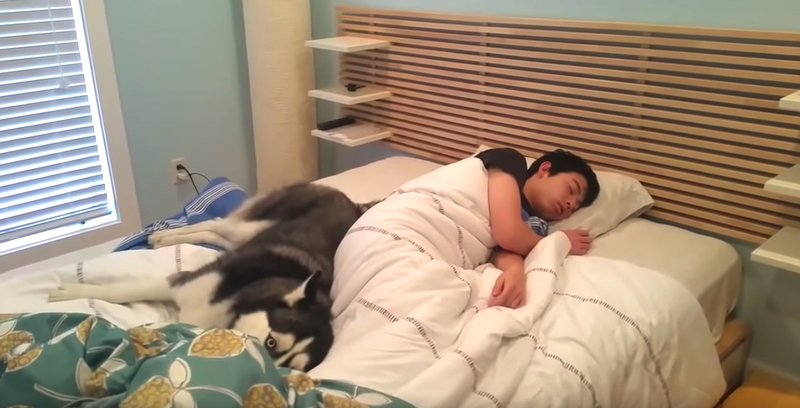 But that’s not good enough reasoning for this playful Husky!